Hers was not a gown swathed in ruffles and bows. Rather, it was a sleek evening dress that accentuated the woman who was wearing the design. It showed off Meghan’s toned, angular form, and it differed greatly from the large, expansive, frou-frou gown that Princess Diana had worn when she exchanged vows (and ultimately exchanged her private life as a shy, retiring nursery school teacher for the existence of a constantly watched princess). 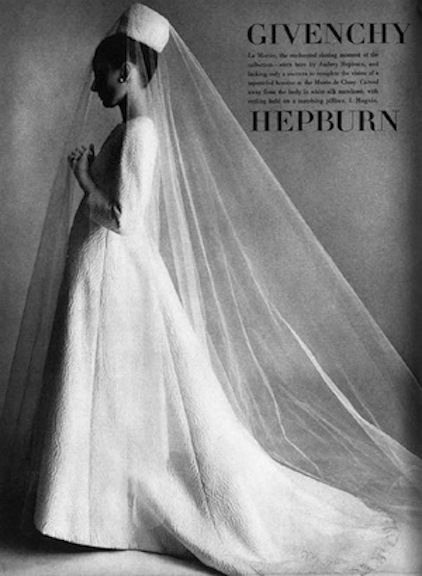 As a matter of fact, the gown reminded me of a beloved movie star of the past—not Grace Kelly, who married a prince in her real life, but rather Audrey Hepburn, who played princesses and regal ladies in many a 1950s and 1960s film. 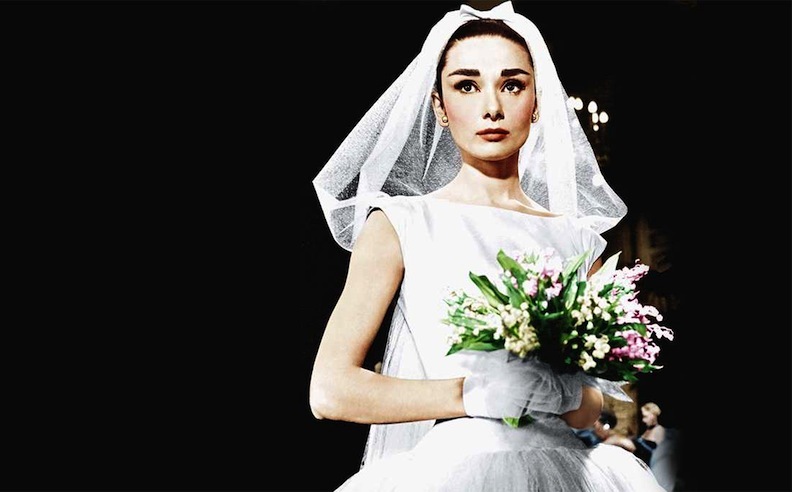 What is fascinating about watching the Royal Wedding 2018 was that it straddled these two simultaneous, co-existing worlds: a definite Cinderella fairy tale (Meghan even has jealous, embittered half siblings who are threatening to write tell-all books, calling her “Princess Pushy”) and a peek into the differences between Old Money elitism and New Money ambitions. Add on top of that Meghan’s African-American heritage, visible in the Karen Gibson Choir and the Bishop Michael Curry’s sermon, and the Royal Wedding was truly a glimpse into how different the lifestyles of the upper crust are when compared to “commoners.” Take heart, even such bona fide millionaires and billionaires like George Clooney, Serena Williams, and Oprah fall into that “commoner” category. This wedding between a British prince and an American girl drove home the divide between our two countries and our two societies. While watching the pageantry of vintage Rolls-Royces, horse-drawn carriages, and cavalry guards with sabers and braided tunics, I felt like I was watching the over-the-top conclusion of a Julia Roberts rom-com. 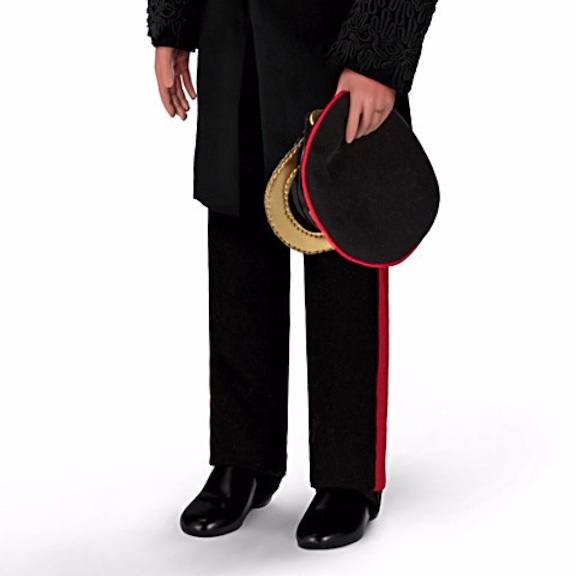 Not only did Julia land her man, but he happens to be sixth in line for the English throne as well! The dizzying height of the St. George’s Chapel ceilings, the intricately carved woodwork and pews with individual shaded lamps (my daughter said the chapel reminded her of the Gringotts Wizarding Bank in the Harry Potter movies), the attendees in their costly finery with outrageous hats and fascinators—all of this seemed like set pieces for a movie about a royal groom marrying his stunning sweetheart. It didn’t seem real; it didn’t seem relatable. All of the touches that smacked so much of England and the High Church, and the wealthy dukes and duchesses, lords and ladies, knighted sirs and dames, felt like it belonged to a “very special” episode of “Downton Abbey.” It was the stuff of fanciful fantasy. The African-American touches, with an emphasis on American, are the ones that I could connect with. 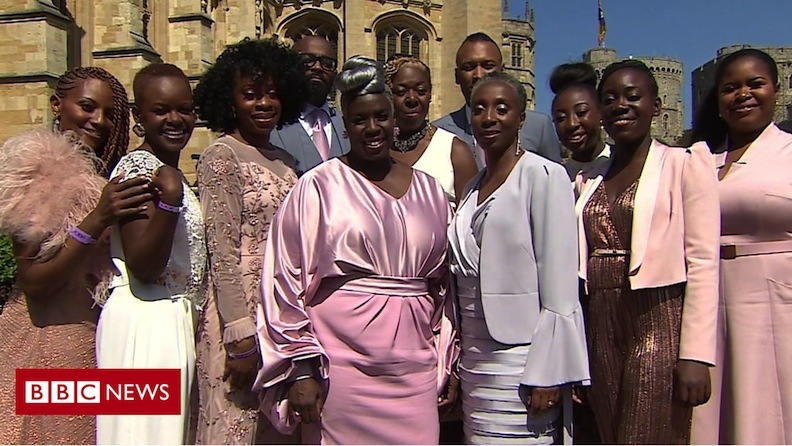 Seeing the Karen Gibson Chorus, a British gospel-music troupe, performing a beautiful arrangement of “Stand By Me” was emotional and moving. Amid the stained glass and the marble interiors, it was real. It felt authentic. 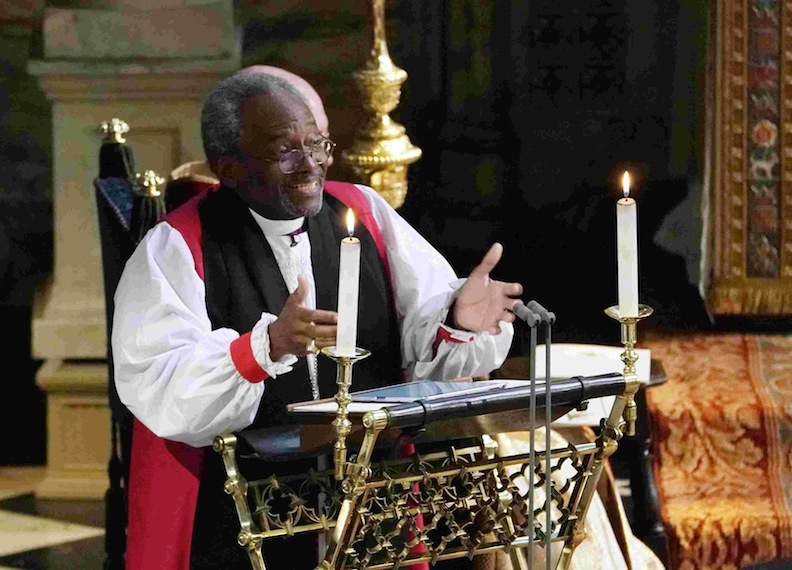 The sermon by Bishop Michael Curry marked a milestone: here was a black American Episcopal reverend preaching in a style that was animated, dramatic, folksy yet divinely inspired, personal but touching upon historical inequalities and triumphs. 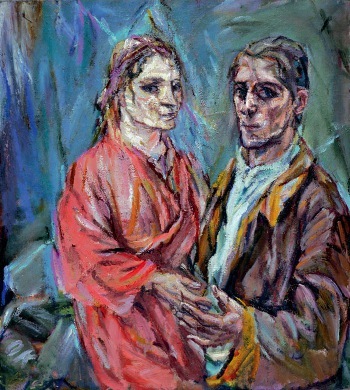 He made a case for the power of love as a “Balm in Gilead” that can correct many of today’s ills and crises. 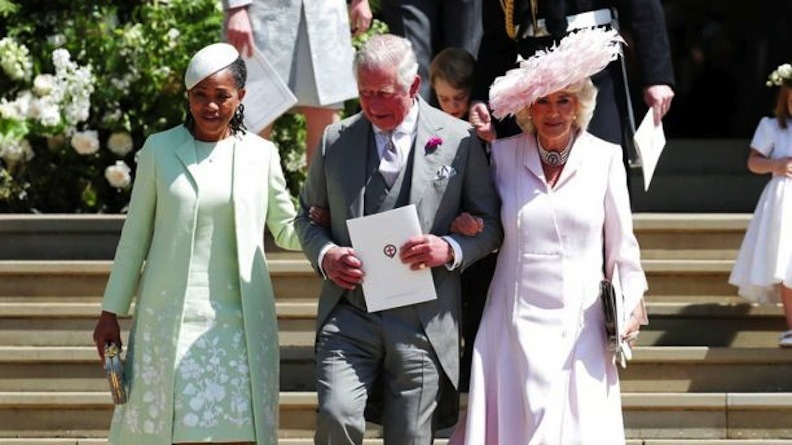 Looking at the faces of the attendees, I don’t think many of the British guests “got it.” Some seemed to be snickering (I mean you, Camilla Parker Bowles); some seemed to be in shock; some seemed to be disinterested; while a few others seemed to be subtly intrigued. Witnessing the exalting power of love, praised by a preacher, is second-nature to us Americans, but for the Anglican congregants and their Archbishop of Canterbury, it was a cultural eye-opener. I am sure that this infusion of a good old American-style sermon was chatted about on the way home. That is what is so fascinating about the Royal Wedding 2018. 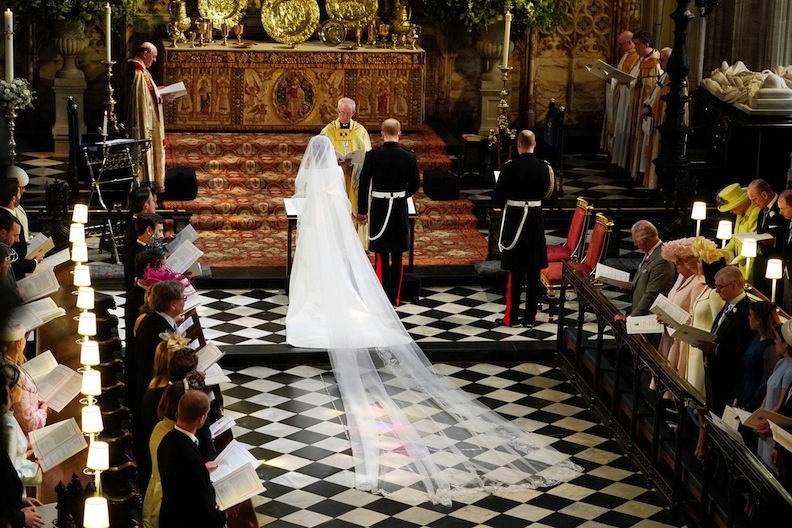 It is 2018; it is an event of the 21st century, but the dollops of diversion within the St. George’s Chapel seemed like a foreign invasion to the wedding guests. Perhaps I am simply misreading the expressions—or lack thereof—that I saw via satellite, but these upper-echelon people seemed to be “amused” in a condescending way. I think they all were prepared to describe the ceremony as “Well, that was certainly . . . interesting.” And, quite honestly, it was these nontraditional elements that made me happy to watch the event. The jubilation of the choir, the exhilaration of Bishop Curry talking about the fires of Solomon—these instances reminded me that America is a nation that is less restrictive and less guarded than most other world powers. Meghan Markle is an American actress who has entered into the private, restricted world of the British royal family. The fact that she hails from a family with roots in slavery makes this ascension even more remarkable. 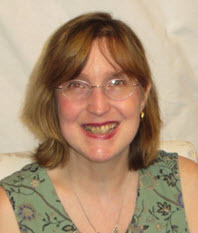 Her family saga is a salute to personal growth, personal upheaval, and personal determination. 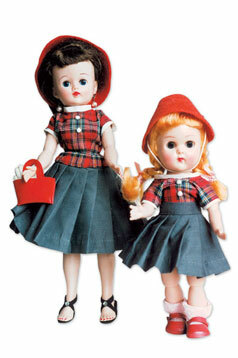 She and her mother are self-made women. Such a union would have been mind-boggling just 37 years earlier, when Harry’s mum, Diana, married Prince Charles. 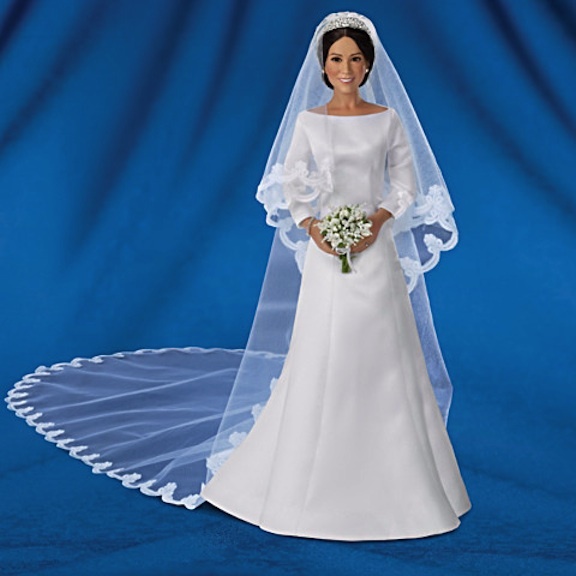 That is why this wedding above all others is so perfect for commemorative dolls and other collectibles. Meghan has listed lifestyle blogger amongst her many career paths, and she knows and appreciates the power of a brand. For the little flower girls (bridesmaids) who accompanied her down the aisle, she has given each of them a personally monogrammed pair of white leather Aquazurra shoes. Each of the five young girls will have her initials and the date embroidered on these keepsake shoes. 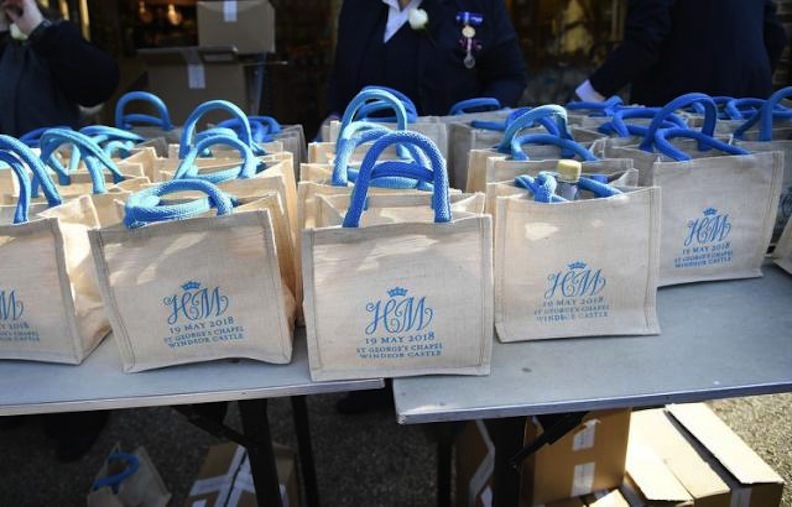 For six of her adult friends who made the Transatlantic trip, including her now sister-in-law Kate Middleton (who wrangled the bridesmaids and pageboys), Meghan had jewelry designer Zofia Day create special gold-disc bracelets. These have now been dubbed “Kensington Bracelets,” and have been replicated and are for sale to the public. What I want to know is what did she give her young pageboys. For it is those young lads—and one in particular—who stole the viewers’ hearts. 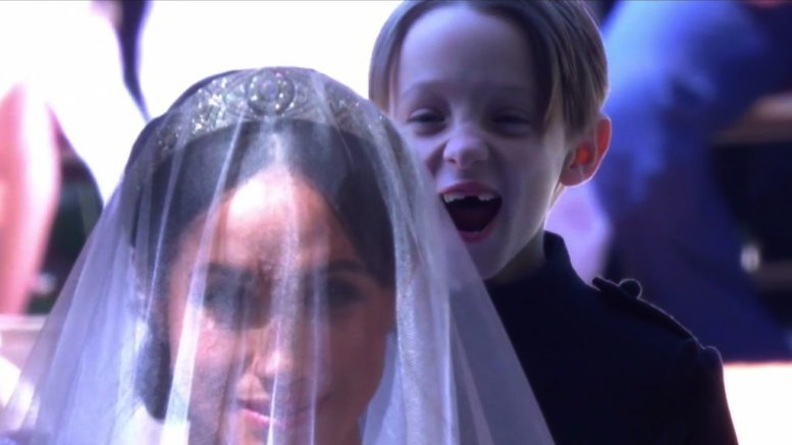 With his wide eyes and open-mouthed smile, complete with missing teeth, the little Mulroney twin was the embodiment of everyone who sat at home and was dazzled by the majesty and the emotions. John and Brian Mulroney were two of the pageboys who wore their hearts on their sleeves and on their faces. 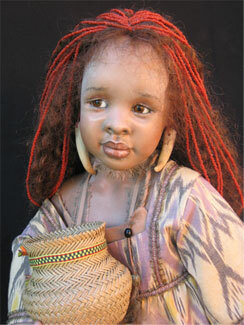 Perhaps Ashton-Drake Galleries can make a doll in that happy young boy’s likeness? 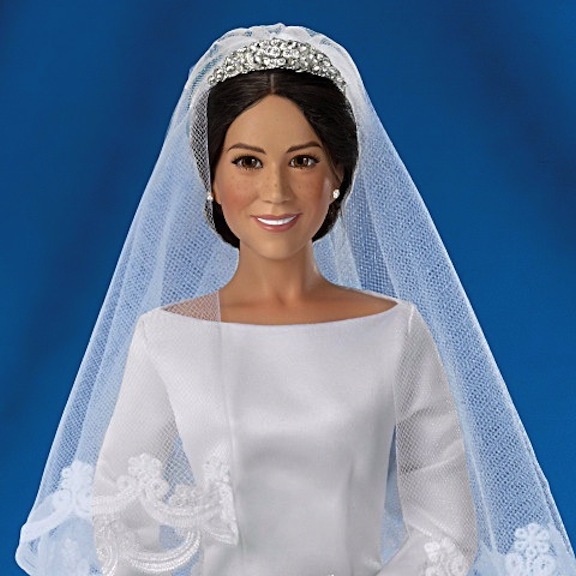 And definitely to complete the whole Royal Wedding 2018 theme, they need to make a Princess Charlotte bridesmaid doll. 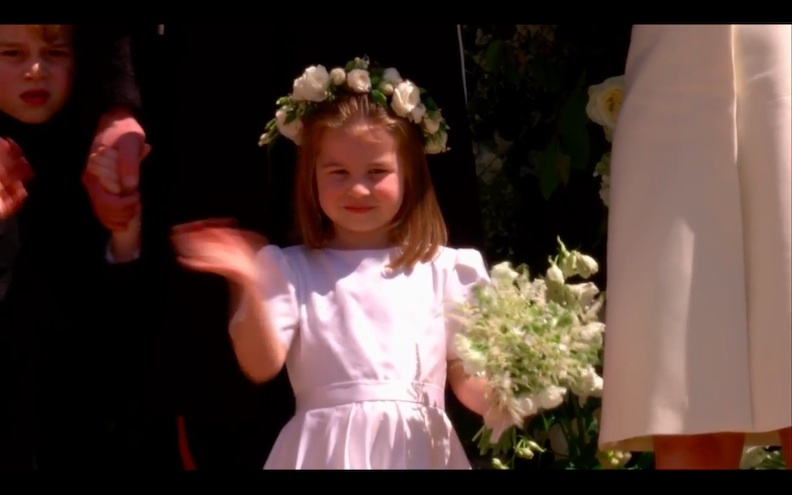 The younger sister of Prince George, the middle child of Kate and Prince William, she stood confidently on the steps of St. George’s Chapel and waved good-bye to the “just married” couple. 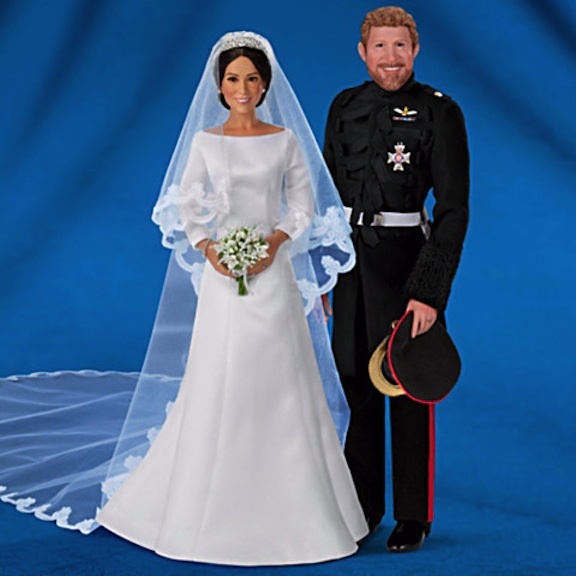 The Royal Wedding Porcelain Dolls by Ashton-Drake Galleries. 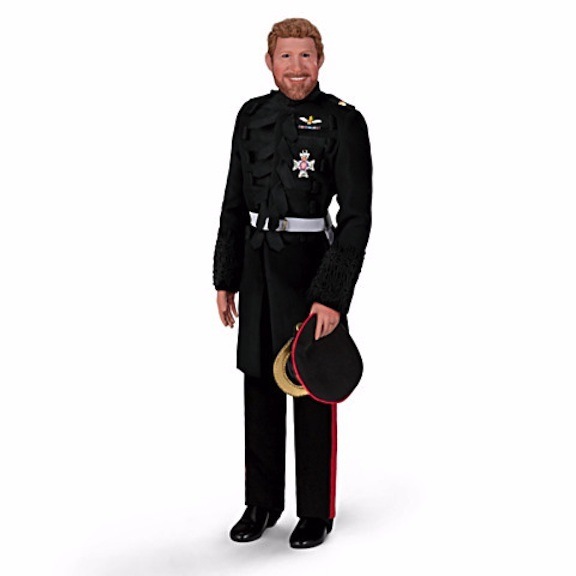 Meghan is 16 inches tall; Harry 17. Both are available for pre-order now, to be shipped starting Dec. 31. Her frenetic and energetic waving was beyond a simple farewell. It contained the power of love, the power of youth, and the power of acceptance. If only all the “adults” congregated that day at St. George’s felt the same way, this would be a happier planet. Cheers to the new couple, the Duke and Duchess of Sussex. The union certainly has fairy-tale elements, but their marriage is more courageous, more self-defining, and more historic. 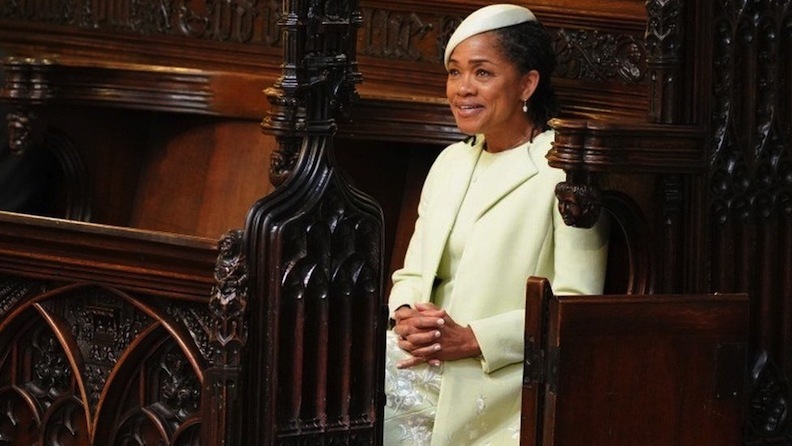 I never would have imagined that a member of England’s ruling family would be marrying a bi-racial American actress. It is an open-mindedness and an open-hearted attitude I wouldn’t have granted them. I am glad Prince Harry, perhaps channeling his barrier-breaking mom, Diana, has proved me wrong. 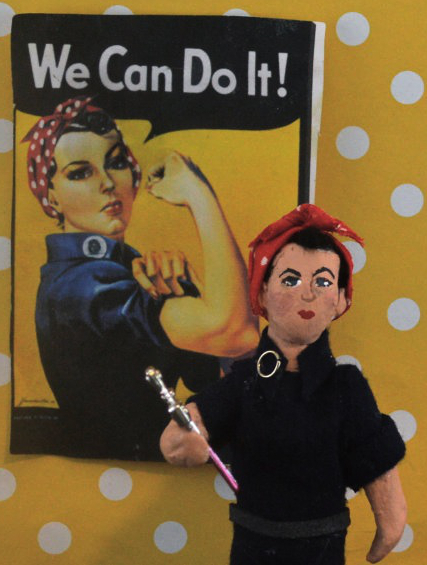 Who Was Rosie the Riveter? And Why Does She Matter?